In regulation-heavy cities like New York, women have taken to shooting ranges in an effort to build a league of their own. Lauren Hartnett wants to protect herself. At 19 years old, she went through an abusive relationship. It was then, she says, when she began thinking about how owning a gun might make her safer. Hartnett, now 28 and a paramedic in New York City, has never had to use a gun to defend herself, but she continues to practice and attend meetups at her local shooting range. What started as a means to defend herself has now blossomed into a hobby. Hartnett’s not alone; she’s one of a growing number of women who have turned to firearms not just for protection, but as a way to foster stronger community bonds. Filling the gaps in an activity that heavily skews male are the pistol-packing women who believe, despite all the controversy surrounding guns, that sharing and enjoying the sport with other women makes it a worthwhile pursuit. For these unlikely female gun enthusiasts, coming together despite the judgments of many of their urban-dwelling neighbors isn’t as important as carving out a supportive, safe space in New York, a city where they are vastly outnumbered. Hartnett takes pride in being one of the few female firearms instructors in New York City. This summer, she hopes to expand the number of women interested in shooting when she launches the NYC chapter of A Girl and a Gun, a shooting club exclusively for women with locations across the U.S.
“I was pleasantly surprised,” says Hartnett of the more than 150 responses she received after putting out a call on Facebook to join the chapter. Among those who support Hartnett are women like Tina Wilson-Cohen, who has marksmanship experience as a former Secret Service agent but couldn’t find an avenue to share it. Or Lauren Silberman, who was intrigued by guns and wanted to satisfy her curiosity. Or Javondlynn Dunagan, who says that living in the notoriously dangerous neighborhood of South Chicago had given her anxiety over guns. Now, though, she’s a firearms teacher and leading the way for other women in her community. For the women who frequent shooting galleries — in Manhattan, there’s just one, the Westside Rifle & Pistol Range in Chelsea — their reasons for being there are just as diverse and nuanced as the women themselves: Some love the camaraderie and the chance to build new relationships, others enjoy the simple joy of practicing the sport, while still more are there to sharpen their self-defense skills. Lauren Hartnett found solace in the gun community after going through an abusive relationship.Photo courtesy of Lauren HartnettAlthough a recent analysis of FBI and National Crime Victimization data suggests that women rarely use guns for defense, gun-range members interviewed believe that women are a fast-growing segment of the gun-owning population. As it stands, it’s unclear if women are, in fact, racing to get strapped. White men are still the most likely to own a firearm, according to a 2017 Pew study. Women as a whole only make up about 22 percent of all gun owners, with non-white women accounting for just over 15 percent. Still, the gender gap has narrowed since the 1980s, but that’s usually credited to the decline in firearm ownership among men. During the day, Silberman flies under the radar as a professor of Renaissance English literature at Baruch College in New York City. But outside of office hours, she can be found at Westside loading up a firearm and picking off targets. The professor tries to shoot once a week — it’s good practice for hand-eye coordination, she says — and she’s a proud member of the New York Women’s Shooting Sports League (WSSL). WSSL stresses its nonpartisan appeal, and its members believe that shooting isn’t only for conservatives or men. In its 18-year history, WSSL has introduced several hundred women to the art of marksmanship. Valeri Jean-Pierre found out about the club via Meetup. The first time she met the group, at Westside in February, she was late. And nervous. She had never held a .22 long rifle before. It took a while for Jean-Pierre to get a handle on loading, aiming and shooting the rifle. She later joked about not being able to put “all of those things together.” But then — with ease — she loaded the magazine, leaned her head onto the stock, leveled her right eye with the barrel and shot. “If you have some type of issues that you want to let out, this is a good recreational activity to do so,” says Jean-Pierre, who plans to come back to the range. For $75, Westside visitors who don’t have a gun permit can check out a .22-caliber rifle and one box of ammunition. All first-time shooters, in addition to a background check, must also undergo 15 minutes of safety instruction. After certified teachers cover the nuts and bolts of how rifles work, gun enthusiasts can choose one of the 16 shooting points — some with targets 50 feet away — and begin firing. Most of the women who come to shoot at Westside say they’re nonpartisan, driven less by political ideology than their desire for a good time. Wilson-Cohen, the former Secret Service agent who coaches women interested in military or law enforcement careers, says that keeping politics out of the range is important to her group, “She Can Shoot,” a league with several chapters and more than 3,000 members across the country. She’s proud of the way the club’s members come together to lend a hand to beginners, no matter their backgrounds. Most of the women interviewed acknowledge that guns can be problematic, especially in the wake of high-profile mass shootings and increased international scrutiny over America’s lax gun regulations. “At what point do we arm everybody and then we stick the gun in the wrong hands?” asks Wilson-Cohen, adding that she keeps an eye open for potential red flags, like if a shooter is unwilling to explain why she wants to join the club. How much traction newly proposed gun-control measures gain remains to be seen, but for these women, that largely misses the point: Yes, guns are weapons that can take people down, but they’re also tools that can build communities up. WTF? Shooting is about self control..... not venting anger. BTW, where was that photo taken? I doubt those firearms are permitted in NYC. This article was not written by or for supporters of the Second Amendment. It's always prudent to know what the opposition in playing. 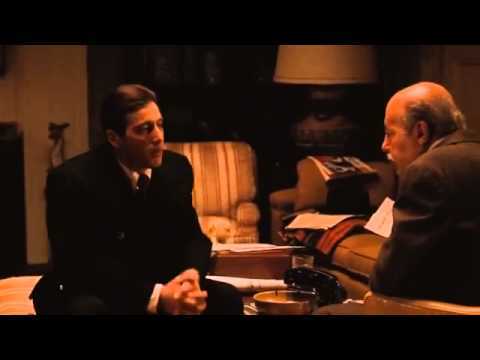 Michael Corleone shares some wise words. I love how Robert Di Niro has a pistol permit but he does not think others should too. This photo is from the Westside Rifle & Pistol Range website. I wonder how someone could get so close to that scumbag and not punch him in the face. I've said it before, and I'll say it again ... Women and children are the future of the shooting sports. Especially in the Sheeploes Republik of New Yorkistan ! The ONLY way we'll ever sway the Cuomo/Diblasio types is by empowering women. I really don't care where the photo was taken' nor whether the article was written by someone anti to the 2A. The fact that it WAS written, that it needed to be written shows that our side is gaining momentum. Now, do your part. Take your wives, girlfriends, and co-workers to the range, and RESPONSIBLY introduce them to the shooting sports. Last edited by PeterGunn; 08-10-2018, 09:57 AM. I could be wrong...but that holo sight appears to be on backwards. The only 2 reasons I liked that range are: it was 3 blocks from my office and because they were selling "group hours" and few model agencies in the neighborhood you can often can see there a bunch of cute girls. Years ago they did a deal with Franks Steak House and NY Helicopter called Beef and Guns. I forget what the halo version was called. Basically, you went for dinner at Franks, the went to West Side to shoot. The help package was just a gimmick to grab and extra pound of cash to fly around the city at 800’.